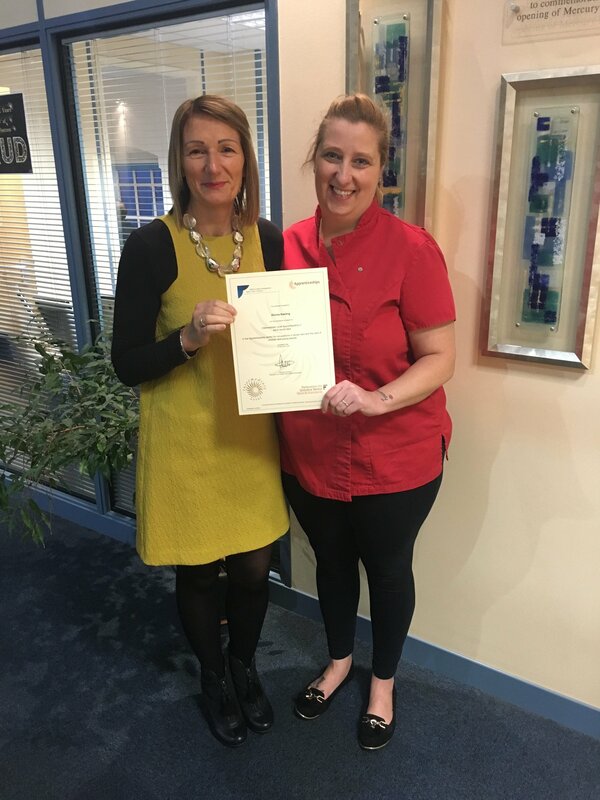 Congratulations to Donna on completing her Intermediate Apprenticeship in Health and Social Care. Each learner will be supported to complete an individual diagnostic assessment to ensure they are matched to the most appropriate qualification. In addition, the assessment centre will have discussions with learners and employers to ensure the qualification and level is appropriate to their current job role.